Welcome to COPPADES Lamjung !! COPPADES is an NGO working in several districts in the country since its establishment. It is the Basic Computer and Information and Communication (BCICT) Project COPPADES worked in over 43 districts across. Its motivation was geared towards BCICT Project because of the difference between the rural school educated children and that of urban. COPPADES tried to bridge the gap as early as possible between the rural and the urban public school children mainly because of the access to computers. The project was implemented until 2005 and with the support of World Computer Exchange USA and Computer Aid International UK. The project was great success as the computerization of rural schools began with this project in rural areas. COPPADES’ focus has been on eliminating gender disparity, caste discrimination, and other areas that continue the trend of providing development results to only those that have access to things already. COPPADES tried to eliminate all forms of discrimination through good governance, improvement of rural environment through forestry and other energy saving tools and techniques such as improved cooking stoves, micro hydro and so on and improving the lives of the people through teaching them to become more money profiting by using new irrigation, farming techniques and other marketing and profit making strategies. COPPADES has always been careful about gender disparity, caste discrimination and bad governance practices. COPPADES has been implementing several projects and many of them are in collaboration with international donors. 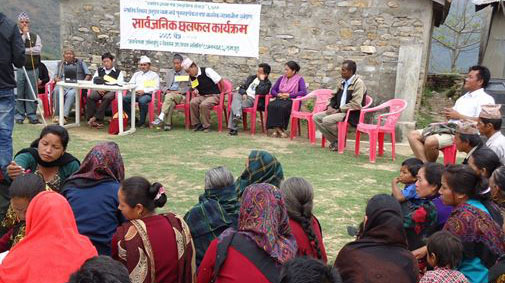 The Livelihood Recovery Support Project (LRSP) in being implemented with the funding support of Lutheran World Relief (LWR) and the Youth Development Project (YDP) is being implemented in partnership with World Vision International Nepal (WVIN). There are other projects COPPADES has been helping to get the most that is possible. The promotion of rural cooperatives has been one of them. The cooperatives are helping the rural people to gain access to capital needed for their rural enterprises. They are also helping to save their earnings and when they are not in need of money. COPPADES just completed (in February 2018) Sajhedari Bikas project which focused on the empowerment of the women, poorest, Dalits and otherwise left out of development agenda despite the government’s plan to address them. 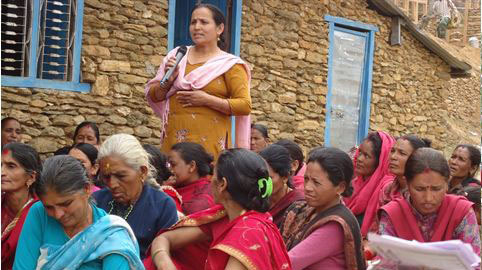 Being an NGO working mostly in the eastern part of Lamjung District, COPPADES had to look into its beneficiaries that suffered heavily in the earthquake of 25 April 2015. So the organization’s effort has always been on helping the people with emergency relief support, temporary shelter and rebuilding of their lost houses and infrastructure. So its focus has been on helping the people to get what they have missed at the earthquake and prepare them with future disasters. 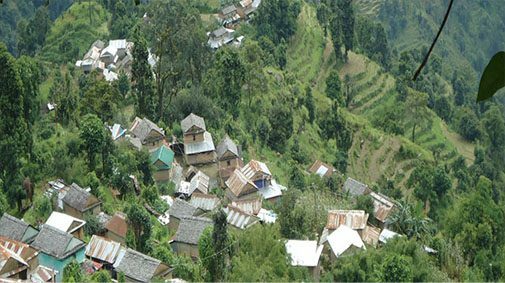 The Sajhedari Bikas Project focused on helping people to identify their priorities and decide whatever their priority is into the development agenda. The main beneficiaries did really made some substantial changes which will not only help the government but also other development workers. Through the projects COPPADES implemented the people knew about the tools, techniques and the deliberate effort on making the intended changes in the loves of the people. There are many other projects COPPADES implemented and they were mainly focusing on the issues that were not adequate support in their implementation such as the gender, caste and otherwise so deprived of the development effort. The main funding organizations for COPPADES have been Lutheran World Relief (LWR) USA while other donors such as USAID/PACT, Give2Asia USA, Whole Earth Development Australia, and other have been helping. Copyright © 2017 Coppades. All rights reserved.